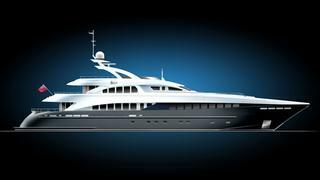 Hot news of another sale as Bon Kain at Nakhimov Yachts tells me he and his colleague Sergei Dobroserdov worked together to sell a 44m new construction motor yacht project in progress at the Heesen shipyard to a longstanding client. Project Zentric is a semi-displacement yacht with five staterooms and a top speed of 25 knots. For Nakhimov this continues a successful close collaboration with the yard as, earlier this year they oversaw the delivery of the 55m Quinta Essentia – the largest Heesen built to date – and the 37m Aurelia. Nakhimov has also been appointed the owner’s representative during final construction and will be managing Project Zentric post delivery. Project Zentric is due for delivery in April 2012 and was asking €25.9 million.